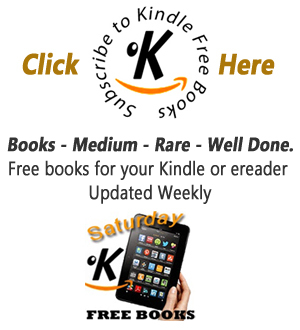 A light-hearted book with hidden messages of self belief and following your dreams. Slave to the rich and the rude, cosmetic surgery receptionist Serenity Holland longs for the day she's a high-flying tabloid reporter. When she meets Jeremy Ritchie - the hang-dog man determined to be Britain's Most Eligible Bachelor by making himself over from head to toe and everything in between - Serenity knows she's got a story no editor could resist. After reading and falling in love with Watching Willow Watts and The Hating Game by Talli Roland, earlier this year, I was on tenter hooks awaiting the release of her next book. Luckily I did not have to wait long before Build A Man was published in November. As soon as I received my copy, I could not resist making time especially to get started on reading it. 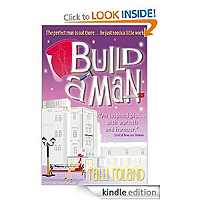 I am still in awe as to how Talli Roland has been able to release three books this year, all at such a high standard of writing, and of all three I have to admit that Build A Man is my new favourite. I was enraptured by Build A Man from the very first page and could not put it down until I had finished the last page. The writing flowed so well that even if I had wanted to stop I don't think I would have been able to. The concept, as with all Talli Roland's novels, was so unique and different from the usual chick lit novels. I loved the idea of Build A Man and the quirky little elements that were added along the way. You can always count on Talli to bring a creative twist to her books. I would love to be inside her head for just one day to see how she comes up with all her ideas. I also enjoyed the message and the moral dilemma behind the story in Build A Man, with Serenity using her professional position as the cosmetic surgery clinic in order to gain juicy details for her column. Then later on in the story Serenity's conscience coming into play with whether or not she should be doing that or not. In terms of characters, I love Serenity. While I was reading Build A Man I was constantly wishing Serenity was a real person so that I could become friends with her. She was so fun, with so much life and energy, even when she was in a bad situation she still managed to pull herself out. I found her such a unique, interesting character. Even though she may have made some bad and morally wrong decisions, she still has a conscience and never set out to intentionally hurt anyone. I also liked the character of Jeremey too, enjoying the way in which his character gave a glimpse into male insecurities, which is not often present in chick lit. The way in which he has also been hurt in past relationships, made him seem genuine, if a little guarded. I didn't know what to expect from this other than blurb and as soon as I started the book was impressed at the speed at which I was into the story, there were laughs and likeability. The only thing negative I thought was that I could predict the story direction but actually there was a twist in the tale and it was all not as straightforward as I had imagined. I thought it a brilliant read. After reading The Hating Game and Watching Willow Watts I was thrilled to find Talli Roland was releasing novel three; Build A Man. Another romantic comedy in the Chick-lit genre. A young aspiring journalist, Serenity Holland, leaves America to live in the city of London. Her dream is to write for one of the big newspapers. However, lack of funds and opportunities in her chosen career, finds her working for her boyfriend. Talli Roland has created yet another set of characters who entertain. Serenity Holland could be Brigit Jones without the large under garments. She bumbles along with her new, unpaid and highly secret writing career. She wants to prove herself to her boyfriend and family, but unfortunately disaster strikes. Only Serenity can save the day but at what cost? I loved the humour, variety of emotions and unique storyline in Build A Man. The author uses personal knowledge of London and previously working as a cosmetic surgeon's receptionist, to create great imagery. Another five star read.